The Sons Of Liberty - Extreme and Radical? I Agree! 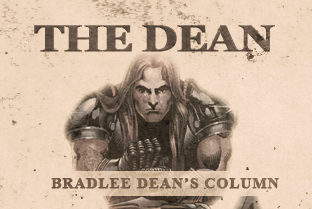 Home - The Dean-Extreme and Radical? I Agree! Firstly, I would like to state that when President Obama came into office with all the promises put forth with the motto “change” into his agenda, I have to admit that I was hopeful and happy for a righteous future under a black American President. I was very hopeful to see all of his promises fulfilled to restore “We the People.” I have always had a great respect for authority when I knew it was lawful and right. However, shortly after his inauguration it seemed everything did change, but not the change that was promised. With all clarity, America seems to be under attack, as a vast majority of Americans agree. I have noticed that almost every circle of life in America has a deep concern as to where this administration is attempting to take this country. What we have all noticed is that this it is a pretty “radical” and “extreme” administration, to say the least. No president has the authority to tear down the Constitution and rebuild it in his own image. While I do agree that things must change, it must change not to the new, but rather to the old (Jeremiah 6:16); and not to what some want us to become, but rather what our forefathers intended. As I have said in many radio interviews, the problems did not start in this country in 1776; they started when we departed from the principles that have been given unto us. America has the longest standing constitution in the history of mankind, and I propose that we stay on course so our posterity has a future of freedom as well. During a radio interview last week I was asked, “Are you anti-establishment?” I cleared the air immediately by stating, “Holding government’s feet to the Constitution is not anti-establishment, but rather pro-establishment. And it is the responsibility of the people to hold them accountable to their oath.” If I did not love my government, my country, and my people, I wouldn’t say a thing about the errors that are so apparent. Those who leave off duty are anti-establishment (these people do not seem to care what happens), not those who take the pains to correct the errors we see today. Let me ask you a question. What would you think of me if I were to burn the American flag? What would you do? Or what would you do if I were to desecrate the graves of our veterans who have fought, bled and died to establish or ratify our constitution by tearing it (the Constitution) down. You would not let me go too far before correcting me, would you? I hope you said no. Likewise, I am not going to dishonor the veterans and their sacrifice by honoring those in office that are disrespecting their appointed position. The veterans honored their oath, and so should those who serve “We the People.” I respect government so much that I want them honoring those who died to give it. This is real honor (Romans 13:4). And every righteous individual in government will stand behind these statements. What is “extreme and radical” is the fact that that the very foundations of our nation are being assaulted by this administration. New policy is being put forth on a daily basis (America, policy follows Law, Law does not follow policy. It has been rightly stated, “If you will not listen to God’s Ten Commandments, you will listen to man’s ten thousand.”) Our borders are wide open, and this administration sues Arizona’s governor for doing what they themselves should have done; 3,700 babies a day are being aborted and this administration wants more money to do more abortions (see Proverbs 6:17); the family institution is under attack and this administration puts forth more efforts to support gay marriage and pulls the Justice Department from defending the Defense of Marriage Act. This administration has also overthrown Don’t Ask Don’t Tell (notice the name - the name reflects the intents of the author). These call our Constitution “propaganda”; Obama omits “by their Creator” from the Declaration of Independence by his actions, and “One Nation Under God” is no longer in their vernacular. Even the Christian crosses of our veterans are under attack. Then on top of all of this, President Obama states that we are no longer a “Christian Nation”, and in a speech in Egypt he said, “You might say that America is a Muslim nation.” Pretty extreme folks, yea?! It is also interesting that this administration and its minions have even gone so far to call their constituents (“We the People”) Nazis, bigots, racists, radicals, haters and extremists for doing what they swore that they themselves would uphold - namely the Constitution. That is like getting mad at a good cop and labeling him as a “pig” for simply enforcing the laws of the land. Now which one is extreme? It has been said that desperate times call for desperate measures. And those times are here. So putting it into perspective, the actions of our representatives and their unconstitutionalities are “extreme”. They swear to uphold the Constitution with their hands placed upon the BIBLE, and they are the very ones who stand in contradiction of what they promised to uphold. Again, let’s put things into perspective. We will continue to “Appeal to Heaven” and ask Almighty God in Jesus’ name to grant us the victory while we continue to “seek peace and pursue it,” and return to the path our forefathers laid out for us to walk in (Jeremiah 6:16.) The motto during the revolutionary war was "No king but KING JESUS." Were the patriarchs extreme for saying, "We ought to obey God rather than man" when they were told not to preach in the name of Jesus Christ? Were our forefathers extreme for confronting a tyrannical king and refusing to obey his unjust decrees? Are the American people extreme for decrying the abuses of what is taking place in our country today? No, just the opposite is true. America is simply responding to the abuses. Hold on to the Constitution, for if the American Constitution should fail, there will be anarchy throughout the world.